Online coursework is different from traditional on-campus coursework, and it can take some adjustment. Here are some expert tips to help you make the most of the online learning experience. Break each assignment down into smaller chunks and note any areas for efficiency. In one course, I had to complete four papers on peer-reviewed articles and then a final paper on specific research. So I laid out a plan for my final paper and determined what articles I would need to read to complete it. I then used those articles in my shorter papers. My final paper involved taking the four papers I had already written and then building on them. I still had work to do but I was already ahead when I started. At the beginning of the course, try to build assignment due dates into your calendar and set reminders in advance. Adjust your planning for personal activities and work deadlines. You can also break down the assignments into smaller milestones and put those on your calendar. Knowing you have some structure in place decreases stress. Posting may seem like a major effort for only a few points of your final grade, but those are the easiest points to get. I remember during one semester, I did worse on my final paper than I would have liked. When my final course grade came in, I was one point shy of an A. Responding to a few more of my classmates’ posts would have made the difference. Discussion posts are your safety net when you don’t quite reach your preferred grade on an assignment or two. Besides, they can be fun to write, and the debate with your classmates can get lively. One of the most attractive things about online coursework is the flexibility. On the flip side, the lack of real-time lectures can make it hard to navigate and stay on track. Although online courses don’t always have a lot of lectures, they usually do have an interactive structure. Be patient and give yourself a few weeks to get adjusted, focusing on the activities that complement your learning style. Some people log in almost every day to review discussion board posts, while others might have an extended focus time on a specific day. Pay attention to when assignments, projects, tests and activities are typically due. If due dates usually fall at the end of the week, start working toward your weekly learning outcomes earlier in the week. Be proactive and figure out the what, where and how that works for you. The professor is one of your most valuable resources. It can be easy to fall into the “one man marching band” mentality, especially when you’re out of the traditional classroom setting, but don’t fall into this trap. The professors are there to help you complete the course and are usually a phone call or email away. One of the best things I did as an online student was schedule some time for a conversation with my professor during the first or second week. During a 10-15 minute conversation I introduced myself and asked for tips on being successful. I also used that time to let him/her know of any upcoming life events that could impact my performance so we could discuss my options. Establishing a relationship with your professor early on helps set you up for success. Create a new discussion board thread: Creating a new thread is a simple way to ask your question and capture the replies. Often online instructors create a Q&A forum so students can get answers. Participate in virtual chat sessions: Many online courses host virtual chat sessions to foster communication and collaboration. These are great opportunities to connect with other students and get answers immediately. If you can’t make it, the chat may be recorded and the transcripts made available to all students. Email your course facilitator or professor: Many online courses have course facilitators who assist with classroom management and can respond to questions. 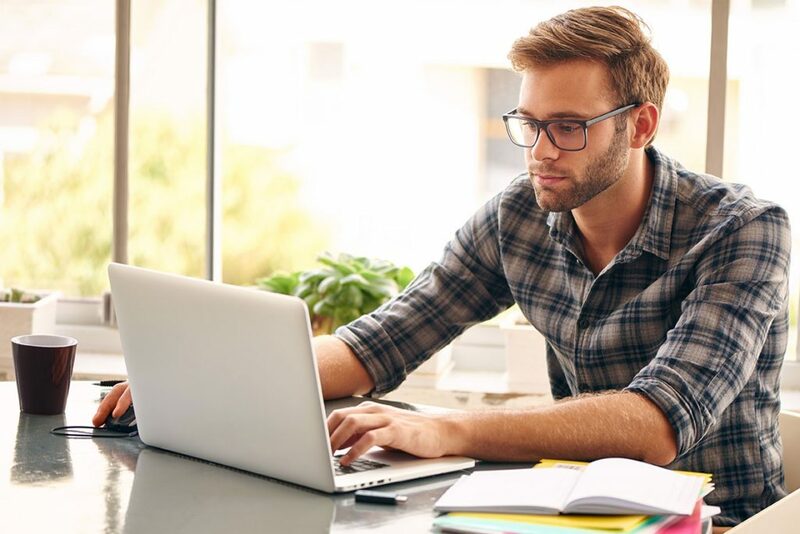 Earning a degree through online study can be deeply rewarding. Proper preparation, class participation and a willingness to ask questions can help you get the most out of the experience.